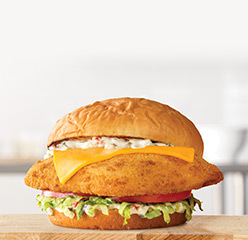 Arby's crispy, golden, Alaskan Pollock fried to perfection and topped with a zesty Cajun remoulade. Sure, you could go to Alaska, catch a Pollock, and then go to Louisiana, and get authentic Cajun remoulade. 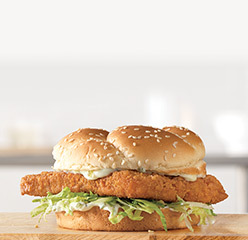 But let's be honest… Arby's is much closer.